A team of Royal trekkers have completed a 9 day expedition through one of the world's largest rainforests to raise vital funds for R Charity. 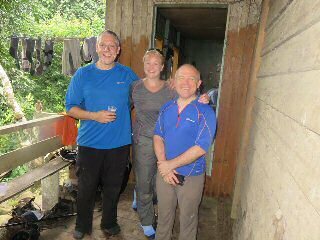 Royal Liverpool University and Broadgreen Hospitals NHS Trust chief executive Aidan Kehoe, deputy medical director Dr Julian Hobbs and specialist pharmacist Laura Perry all completed the gruelling 25-mile challenge through Borneo's rainforest to help raise funds for the new Royal Liverpool University Hospital. The fundraising challenge, which looks set to raise an impressive ?6500, also included climbing the 13,435ft Mount Kinabalu; South East Asia's highest peak. 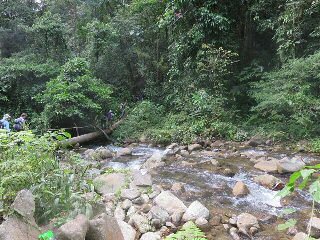 Pharmacist Laura Parry enjoyed swapping walking the Royal's corridors for trekking through the humid 130million-year-old rainforest for R Charity. 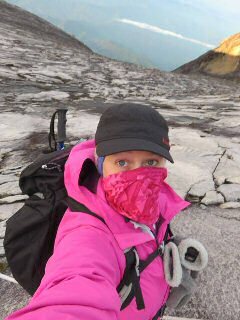 She said:- "The opportunity to trek through the amazing Crocker Range National Park as well as climbing Mount Kinabalu was fantastic! The challenge definitely took me out of my comfort zone but the experience, the spectacular views and the personal reward was incredible and raising money for R Charity made all the tough moments worthwhile." Funds raised from the trek will help to buy the latest treatments, technologies and patient comforts in the new Royal. Deputy medical director Dr Julian Hobbs said:- "The trek was a fantastic and extremely challenging experience and a great way to raise money for our appeal for the new Royal Liverpool University Hospital. 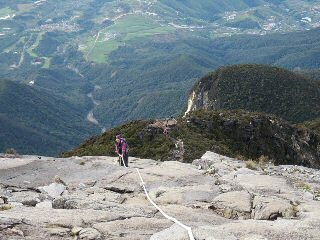 I will always remember reaching the summit of Mount Kinabalu in time to see the sun rise over the rainforest." Aidan Kehoe, chief executive, added:- "We want to give the people of Merseyside access to the best possible treatment and technology and deliver a hospital the city can be proud of. Money raised will help us to buy the most advanced technologies and patient comforts, enabling us to achieve our ambition of providing the world class hospital our staff and patients need." To find out how you can support R Charity visit the charity's website or call them on:- 0151 706 3153.